Taekwondo champion Farida Azizova (left) encourages young people to speak out against gender discrimination. Image from the Youth for a Better Future campaign. 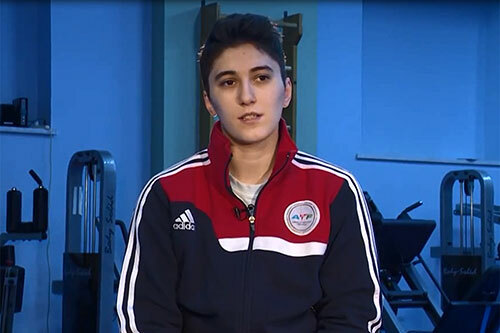 UNITED NATIONS, New York/BAKU, Azerbaijan – “As you know, in this society, we have problems with equality between men and women,” said Farida Azizova, a 21-year-old taekwondo champion from Azerbaijan. She knows all too well the barriers women face. “I would say that in all types of sports, you will rarely see girls, maybe 5 to 10 percent. For every 100 boys there would be five, maximum 10 girls engaging in sports,” said Sabuhi Zulfuqarov, Ms. Azizova’s coach. Ms. Azizova is working with UNFPA, the National Assembly of Youth Organizations and the Ministry of Youth and Sports to raise awareness about gender discrimination in sports and other areas of life. She developed a video, part of the national Youth for a Better Future campaign, to encourage young people to stand up for gender equality. The Youth for a Better Future campaign is encouraging Azerbaijan's young people to learn about, and then stand against, gender inequality. Gender inequality remains a major problem throughout the world. Globally, women are more likely than men to be poor and illiterate. They are more likely to lack access to property ownership, education and employment, and they are more likely to be victims of domestic violence. This is true in Azerbaijan, as well. The country receives a rank of 68 out of 188 in the 2015 Human Development Report’s gender inequality index. Social norms mean that women’s needs often take a back seat to men’s, data indicate. And these expectations can make women extremely vulnerable: According to a 2011 survey, 28 per cent of women believe there are circumstances where wife beating is justifiable. Ms. Azizova encountered gender discrimination after she started taking taekwondo lessons to address health concerns. But over time, it turned out that she was a talented athlete. Unfortunately, her family and community did not see it that way. It was only when she proved she was a skilled competitor that they changed their minds. “After my first wins, all the problems I had faced – all the words I heard from society, from relatives and neighbors that girl shouldn’t do sports – started to subside,” she said. "Don't be afraid," Ms. Azizova tells girls. Image from Youth for a Better Future campaign. UNFPA’s collaboration on the Youth for a Better Future campaign is helping young people in Azerbaijan learn about the Sustainable Development Goals, an ambitious set of 17 goals designed to transform the world between now and 2030. The goals address issues such as gender equality, improving health and increasing access to quality education. As part of the campaign, training sessions about the Sustainable Development Goals have been organized in cities around the country, including Lankaran, Shaki, Quba and Ganca. 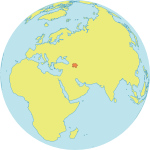 Awareness raising activities are also held with youth organizations. As for Ms. Azizova, Mr. Zulfuqarov says she is an inspiration and a role model. She has placed “first and third in European Junior Championships, third in World Senior Championships. It is safe to say that she is an athlete who won all medals except the Olympics,” he said. Ms. Azizova is using her status as a champion to urge girls to pursue their dreams, no matter what people tell them.